The Sabah Tourism Board is the official tourism representation of the State of Sabah in Malaysia on the island of Borneo. It operates under the Sabah State Government and is under the purview of the Ministry of Tourism, Culture and Environment. Sabah Tourism’s main responsibility is the marketing and promotion of tourism for the State of Sabah. 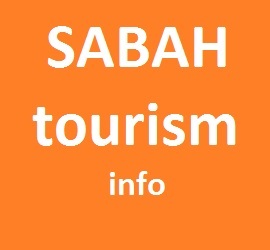 Sabah Tourism provides information and assistance on trade and consumer travel and tourism. Additionally Tourism Malaysia runs an extensive network of overseas tourism offices providing travel and tourism information to travellers, the tourism trade, and the media. Sabah Tourism is also represented by Tourism Malaysia’s overseas offices. Sabah tourism and travel brochures can usually be ordered from Tourism Malaysia or from Sabah Tourism Board directly. Sabah Tourism exhibits regularly at major travel trade fairs such as WTM in London and ITB Berlin, as well as various consumer travel shows in Europe, USA, the Middle East, and Asia.